Do you have clothes hanging out in your closet that you don’t wear because you have changed careers, sizes or your mind about something you bought? Well there are plenty of ways to cash in on your closet and today I will share with you seven ways to do it. After all, why leave money sitting in your closet instead of your wallet right? Some of these tips may involve a bit more effort than others but either way, there are options and you can decide which works best for your situation. 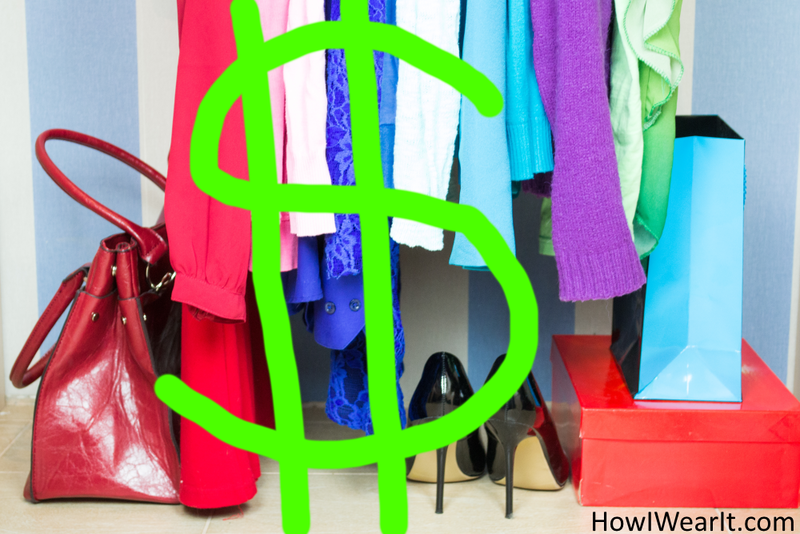 Here are 7 Ways to Make Money From Your Closet! In no particular order. Poshmark is a simple and fun way to buy and sell fashion using your smartphone. There’s a fee to sell but they take care of the shipping cost for you! Shop the closets of women across America – and sell yours too! Here’s my experience using Poshmark! Sell just about anything on eBay and take advantage of a huge market of buyers! Sell via an auction or immediately via ‘buy it now’ options. There are fees to list & sell but they are always running promotions to list free. Sell on Amazon and like eBay, enjoy a huge International market of buyers. There are also fees involved for selling and you can optionally open a store and sell your items as well. Post an ad and sell right from your doorstep by using local classifieds for free. You can also use Craigslist for so much more, like to find jobs, housing, goods, services, local activities, advice – just about anything really. Similar to ‘Once Upon A Child’ only for adults! Clothes Mentor takes the guess work out of selling your items by buying them from you, paying in cash on the spot! You’ll only earn a fraction but it’s better than zero. Check out the link to their website to find out if there’s one near you! You can always take your items to a consignment shop in your area. They will sell your items for you and you can cash in after the sale for an agreed upon amount. In this case, I found an online consignment set up called ‘Recycle Your Fashions’. You can ship items to them for consignment in their shop or they can just buy them from you upfront. If you don’t have the time, energy or desire to use any of the above methods to cash in on your stuff, no worries, I’ve been there too! The quickest way to clear out your closet is to just give the items away. You can drop off to the local Goodwill or Thrift shops, or you can schedule a pickup from The Salvation Army or another charity and they will come right to your doorstep! Another option is to bag up your items, throw them in the trunk and drop off to a nearby donation drop box, typically located around your area in shopping center parking lots. So there you have it, 7 Ways To Cash In On Your Closet! There are definitely more ways out there to do this, but this list is a good starting point. For me personally, I’ve tried each of these methods, with the exception of using a consignment shop. I just prefer selling it myself. There’s options out there for every personality, so don’t wait, start earning from your closet today!